My Sweet Little Rose of Killarney. Copyright, 1897, by Wm. B. Gray. Words and Music by Ben. Riggs. And the boys call her sweet Rosie Carney. How I Jove her, there's nobody knows. 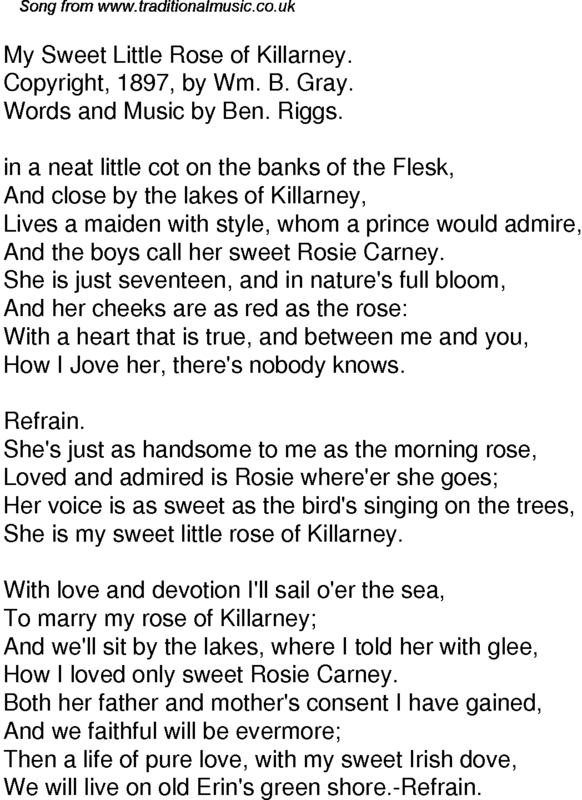 She is my sweet little rose of Killarney. How I loved only sweet Rosie Carney. We will live on old Erin's green shore.-Refrain.